Digitalization remains a persistent initiative across industries. According to Gartner, digital initiatives are the top priority for 2019. Only 4% of organizations have no digital initiative at all, which signals a shift from digital as an option to digital as a mainstream platform. This calls for a complete overhaul of the enterprise network, aiming instead for a dynamic, resilient network that securely delivers applications and provides the necessary visibility and analytics in an environment dominated by advancing technologies. Enterprises waste more than 50% of their IT budgets on inefficient application workload placement, configuration, and management (EMA). Nearly 20% of organizations observed at least one IoT-based attack in the last three years (Gartner). 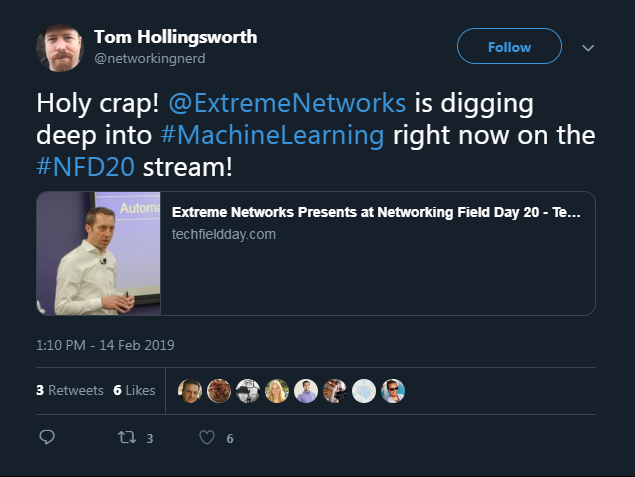 At Networking Field Day 20, Extreme’s Vice President of Solutions Architecture and Innovation Markus Nispel discussed in-depth Extreme’s ML-driven security analytics and automated threat response for IoT. In these videos, Markus takes us on a journey to a new way of thinking about network management and automation, featuring new security analytics and threat response capabilities. 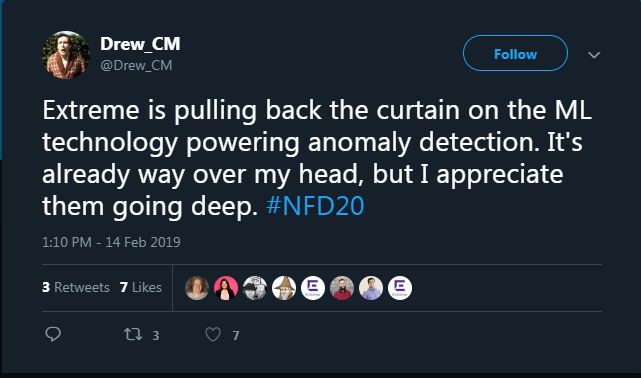 Learn about Extreme’s new, unique approach to ML-based anomaly and threat detection for IoT devices to identify and automatically respond to threats traversing inside the network.